INTRASOFT wins pan-European helpdesk contract | Intrasoft International S.A.
Luxembourg, 4 September 2018 - INTRASOFT International, the global ICT company, has renewed its contract for the provision of helpdesk services to all users of the EU’s Publications Office electronic services and products. 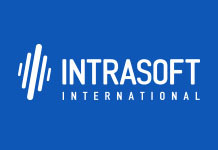 For the next four years, INTRASOFT will continue to provide the Publications Office (www.publications.europa.eu) with multilingual helpdesk services. These will cover oral and written requests varying in scope and complexity from general questions about the Publications Office itself to detailed questions about the functioning of specific electronic services of the Publications Office, including questions of legal nature mainly in the area of public procurement. Indicative of the breadth of the service already provided by INTRASOFT was that in 2017 the volume of requests exceeded 20 000 in all EU languages.